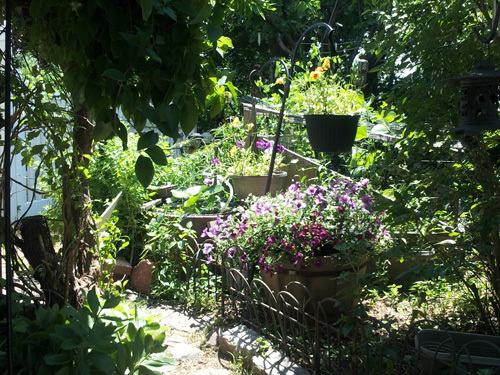 There have been few posts lately because the writer is busy out in the garden. 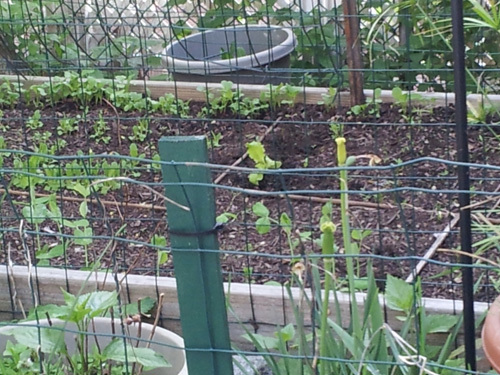 There was an early planting of peas, radishes and kale harvested. 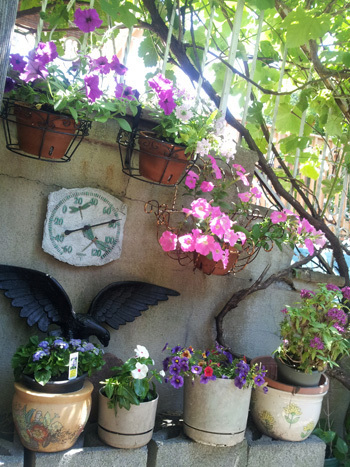 This year, more plantings were started from seeds. Just running out to a nursery and buying plants is fine, but this year I wanted to complete the whole growing cycle myself. More is involved as seedlings are fragile and any lapse in watering, temperature control, etc. will lead to their destruction. Besides needing to be more watchful, once things get started they have to be thinned out or the growth will not be satisfactory. Everyone is getting more aware of the fact that seeds are very important and the preservation of non-hybrid genetically re-arranged seeds is critical. Heirloom seeds are very popular right now as are seed exchanges. Seed saving of the right kind of seeds is economical and a great way to control what gets planted. 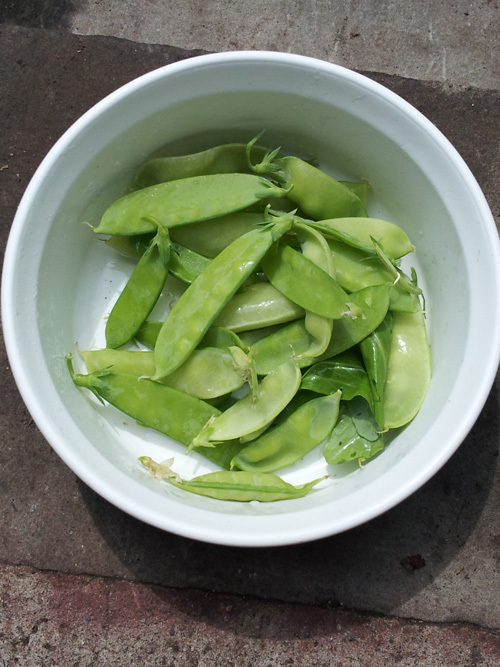 I've started keeping track of the amount of organic vegetables harvested. 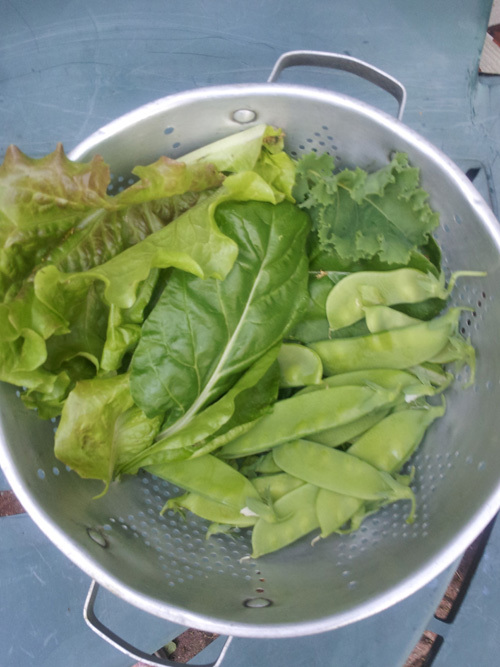 So far it's been two half a pound harvests of snow peas and two half pound harvests of organic mixed greens like kale, chard, baby bok choi and red lettuce along with basil, lemon balm and chives. 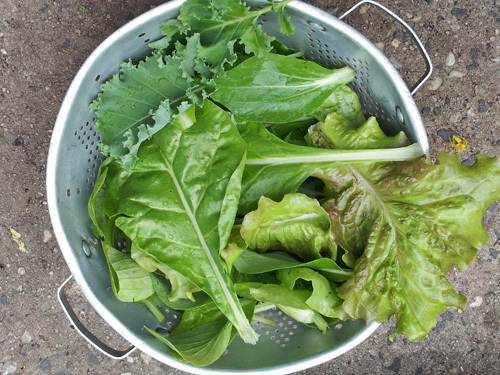 The harvests were 7 - 10 days The amount charged for these organic greens at the grocery is enough to keep me busy at gardening. Things will pick up as more boxes and pots ripen. So, this year's garden got a slow start but it's now caught up and the next phase in pots and boxes has been started. Timing is important. Lettuce is not going to do well starting in summer heat. That's why chard, kale and bok choi are good choices in the summer. Volunteering at a community garden, I've made the acquaintance of a green called tat soi, which has become a new favorite. Can't wait to get my hands on some seeds for it. 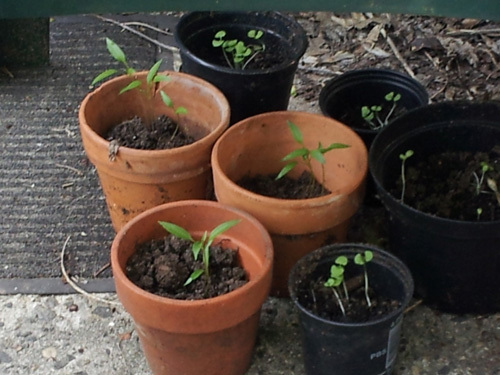 The cherry tomatoes, basil and small peppers are finally starting to take off due to the rain. Plants love rain because of the natural elements like phosphates in it. Below are some shots documenting My City Garden's progress.